$24, 1.5 hours, and 54lbs later… I have an epic amount of canning to do. So far I’ve finished 7 jars of applesauce. I don’t think I even used half of a bag. 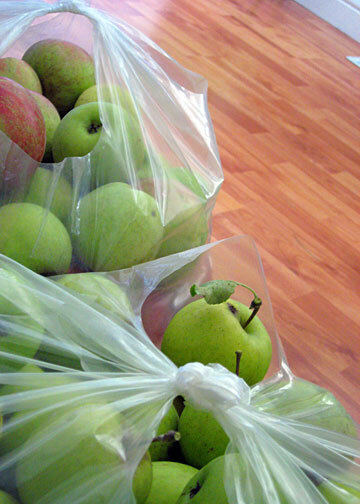 I’m working on another batch of applesauce (I go through it like crazy over the winter! ), but everything else is up in the air. I’ve got a bee in my bonnet to try making some hard cider, but that requires equipment I don’t have. So I’ll probably settle for some apple butter, and maybe some apple pie filling? I’m having a hard time finding recipes to can that are different from the usual things. Maybe I should hit the liquor store and get some brandy and soak the apples in that? The pungent scent of vinegar and onions waft through the air. The stove gently ticks and creaks as my thrift store canning pot processes my latest project. It’s been a long time since I’ve preserved anything, and every time I come back to it I wonder why I took any break at all. Especially when I remember how stupidly quick and easy it is. 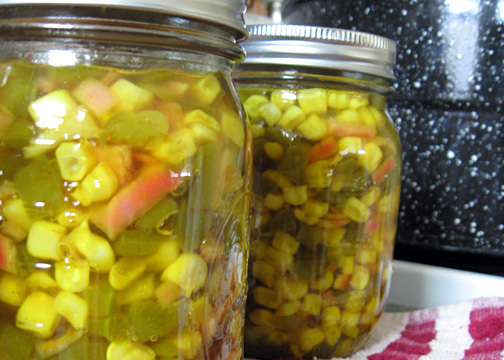 Today’s preserve du jour is a much needed replacement of a store-bought-now-discontinued beloved favorite: corn relish. Most people have no idea what I’m talking about when I wax poetic about its perfect combination of sweet and tangy. I don’t know that anyone outside of my immediate family will understand how homemade tacos never taste the same without it. That perfect bite of sweetness, complementing the kidney beans, cheese, ground beef, and salsa so flawlessly. The story, as I’m told, is that the way we do our tacos today came from another family when my mom was a child – corn tortillas fried in vegetable oil until a little crispy, ground beef, cheese, lettuce, tomato, dark red kidney beans, cayenne pepper sauce, and corn relish on top. Since then my grandparents have made them this way, my parents have made them this way, and I’ve made them this way (though I skip the fried corn shells and leave mine soft… trying to be somewhat healthy, after all). 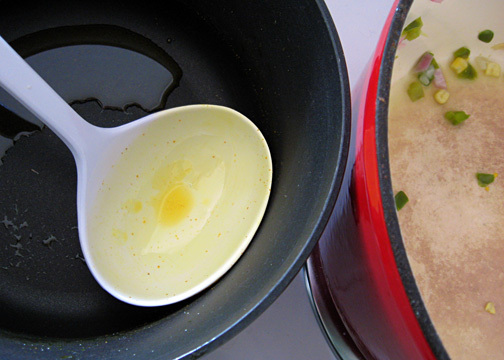 This recipe is my first attempt, and it does seem quite promising. I substituted frozen green peppers for the red, as they were cheaper since fresh aren’t in season yet. Though this substitution clearly lacks the wonderful color the red peppers bring (as well as a bit sweeter flavor). The sugary-sweet vinegar/sugar/tumeric liquid tastes pretty spot-on to what I remember. I’m excited to see how the whole batch turns out later this week and finally have my family’s tacos restored to their full glory.